Please note, in order to maximize time and establish good relationships with Park Districts, we do not travel to individual homes or random parks. What positions do you teach? Our training staff is proficient in teaching and training all positions. 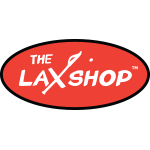 Boys – Goalie, Close Defense, Long Stick Midfield, Offensive and Defensive Midfield, Attack, and Face-offs. Girls – Goalie, Defense, Defense, and Attack. Can we add friends or other athletes? Due to the nature of private and small group lessons, all athletes need to be similar in skill set and ability. If an existing group is not available, we encourage athletes to form their own groups. All groups are closely monitored, and any changes would be made in the best of interests of our athletes. How many sessions a week should I do? All of our sessions are an hour long, and for best results, we strongly encourage consistent weekly attendance. Give us a call, send us an email, or fill out a training interest form, and together, based upon schedules, athlete goals, deadlines, and finances, we can put together a comprehensive training program best suited for you or your child. What is the best number of athletes to train with? Every athlete is different and has different goals. The size of the group is best determined by the athlete’s needs. After the evaluation session, your program director will speak with you to discuss which type of training would be best. Absolutely, we actually encourage it. What better way to understand the game than to observe a lesson in an already intimate learning environment? If you need to cancel a lesson, we expect at least 24 hours notification, and will make every effort to reschedule the lesson at a more convenient time. Late cancellations within 24 hours of the lesson will not be rescheduled or refunded. To minimize cancellation fees, confirmation emails are sent 48 hours before your scheduled lesson. Assume we are scheduled, unless you are contacted. We will do everything we can to move outdoor lessons inside. Indoor lessons are rarely canceled, but again, you will be contacted. Who can do private and small group training? Simple answer: Anyone who is interested in the sport of Lacrosse and would like to improve his/her skill level in the most efficient way. ALL IN accepts both checks and credit cards. NO CASH PLEASE. Credit Card Payments: Can be made through our scheduling site under your athlete’s profile. Payment plans and automatic payments are available via our online scheduling and invoicing software. Just ask us how.